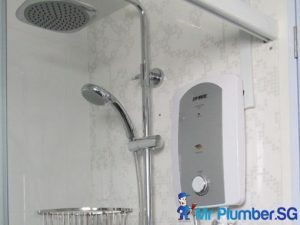 How often you use the shower in your home does not change the fact that showers are an important part of the bathroom and your home in general. Bearing this in mind, it can be annoying when your shower then has issues that require repairs. Issues like shower leak, slow dripping and others can be severe from making your shower annoying to causing serious damage to your home. If you notice that your shower is not functioning optimally, you should call a professional plumber to take a look at it. 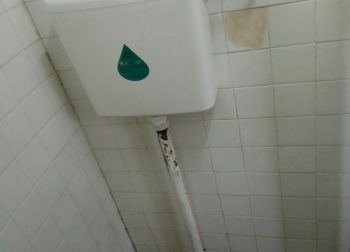 Most shower leaks in Singapore are linked to wear and tear from temperature changes and sometimes natural shifting of a building. These shower leaks could cause water to enter the bathroom tiles and drip into the walls, ceiling and other parts of the house. 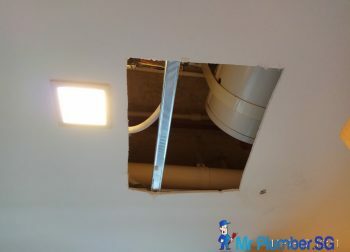 Water damage from such leakage can be severe and most times the shower leak repair can be an expensive and time-consuming project. 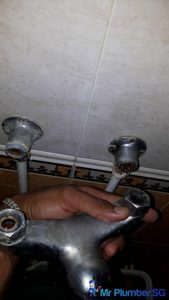 Another cause of shower leak is when the seals of the shower head is broken down. This also leads to waste of water and sometimes water damage. Building movements can also contribute to shower leaks. Although it sounds improbable, the ground does move over time. When it happens, it will affect the building, causing it to move slightly. So, when the building moves, joints may loosen, cracks may appear on the floor or wall, and floors may become uneven. These damages may cause the waterproofing seals to break apart leading to leakages. When materials or equipment are not aligned properly, over time it will loosen due to water pressure and movement, causing leaks to happen. 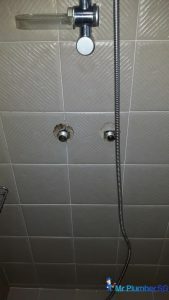 For example, if the shower joints are not tightened properly, with time, the water pressure will cause the joints to loosen and a leakage can occur. Use of strong cleaning agent may also lead to a leakage. Most shower materials will have a layer of waterproofing agent to help waterproof the item. The use of strong cleaning agent may cause the waterproofing agent to wear away at a faster rate and the shower material to degrade eventually. So, it would be wise to choose your cleaning agents carefully. 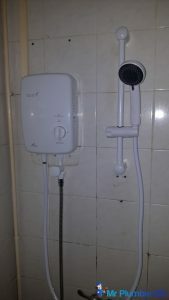 Shower components and equipment not aligning can cause leakages, as mentioned earlier. But even if the components and equipment are aligned properly, if the materials are of poor quality, this can also leak to an early leakage situation. 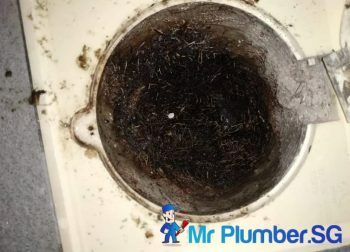 Bad tiling of the bathroom tile will also cause a leakage to happen because water can seep through the misalignments and get to the other side, causing a leak. Even with a waterproofing agent, if there is a gap in the tiles, a leak is unavoidable. If the flooring in your home is made up of wood, and there’s a smell of rot in the air every time you pass by a certain area near the shower, this can be a clear sign of leakage. 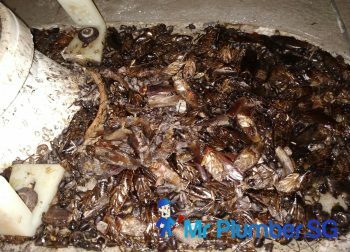 This is because when a leakage occurs, and water comes into contact with wood, this will cause a growth in wood-loving microorganism which will ‘consume’ the wood very slowly, causing it to rot. The wall directly behind the shower can be damage when there is a leakage. You may detect this when you observe paint bubbling or even paint peeling on the wall. You may even see wet stains on the wall if not paint related signs. If you happen to see any grout missing in your shower, it can mean that a leakage has occur. Grouts are a mixture of water, cement and sand that is usually seen between the tiles of the bathroom. Constant exposure to water will cause the grout to come loose. Even though the grout may be expose to water during showers, the contact is not constant as it is on a on-off basis. Grouts will only come loose due to constant exposure to moisture at an extreme degree and pressure. Constant exposure to moisture may cause the tiles to loosen up, and this can be the case due to a leakage loosening the grout holding the tiles back. One way you can save water is by replacing the regular shower head to a low-pressure type that will slow down the rate at which water comes out. So instead of taking short baths to save water, you can just install in and use it once in a while. Shower head replacement with a low-pressure one is quite easy as you can buy it at the local hardware store. Another option is the adjustable flow model. 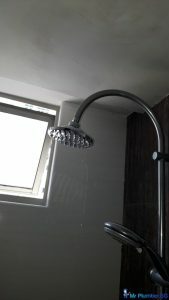 This type of shower head allows you to change the speed of the water flow according to what you need it for. 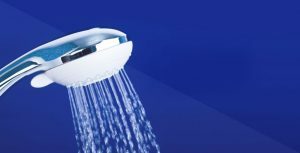 Shower head replacement helps you save money and water and prevent property damage from water leaks. Speak to a plumbing service for regular checks and inspection and shower repair where necessary. A shower leak can occur from your shower unit in the bathroom, and these shower leaks may be easily resolved on your own. In this segment, we will teach you how you may go about fixing a showerhead leak, fixing a faucet leak and replacing a faucet. Start by turning off the water supply, this will enable you to conduct the works without worry about a burst of water. Do prepare a towel in advance as even though the water supply is turned off, this does not mean that there is no more water left in the pipe. Then you may remove the showerhead by unscrewing it from the pipe. You may want to use a pair of pillars or crescent wrench for this. Upon removal of the showerhead, look past the threads inside for a small plastic washer or rubber-O-ring. These are the main culprits when it comes to leakages, due to wear and tear. It will dry up and become brittle which lowers its ability to hold in water. Do replace it if it looks worn or damaged. After inspecting/replacing the components of the showerhead, wrap up the thread on the pipe stem with tape. A thin strip around the threads at the very tip of the pipe stem will do. Begin screwing the showerhead back on by hand until you cannot turn anymore. Use a pair of pillars to give it a final tight turn, but not too tight as it may break the showerhead. You may then turn on the water supply and run the shower for a few seconds. Then turn it off and wait for a few minutes to see if there’s a leakage or drips. Similar to fixing a showerhead leak, start by turning off the water supply and make sure to prepare a towel. Open the faucet and let the remaining trapped water to drain. Next you will need to remove the faucet, and depending on the type of faucet, you may need to remove one or even two valve and handle. A two-knob system is similar to a single knob system, just that you will have to remove one more component. Use a screwdriver and crescent wrench to loosen the valves and remove the knobs/handles. You may then remove the guards and should see 2 nuts. Loosen the larger nut to reach the shower stem. 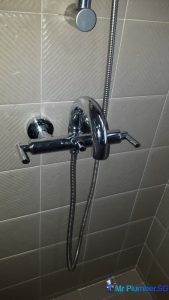 Remove the shower stem by loosing it in an anti-clockwise manner. 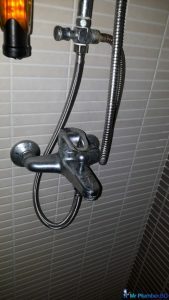 This shower stem works with several washers (i.e. Seat washers and Packing washers) and should all be replaced to ensure that the current leakage and any future leakage can be prevented. You may then begin the reassembly by reattaching the shower stem followed by screwing on the valves and reattaching the knobs. Thereafter, reattach the faucet faceplate and seal where it touches the shower wall with the help of apply caulk around the plate. Observe to see if there’s still any leakage over the next few days. If fixing the faucet does not solve the leakage, you may want to consider replacing the faucet. There are many different types of shower faucets out in the market, and not all are interchangeable. So, it is important to identify the correct replacement for your current faucet. Always get an exact measurement of the holes in the faucet and bring along your old faucet to find a suitable replacement at the hardware store. And it is important to follow the manufacturer’s instructions to ensure that everything is installed correctly. So, in order to bring the faucet to the hardware store, you will have to remove it first. 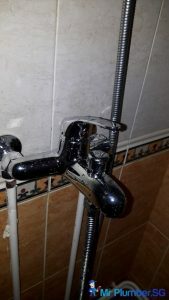 Start by removing the base of the faucet. 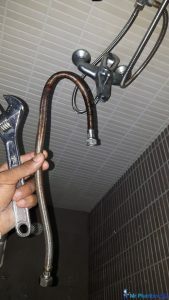 You can do this by using a pipe wrench to loosen the nuts that is fastening it to the shower fixture. After it is loosened, you can remove the base of the faucet. 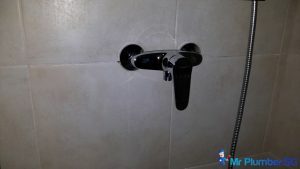 After getting the new replacement, you will need to line up the new faucet with the shower pipe to fasten it to the pipe with the help of a pipe wrench. As mentioned above, follow the manufacturer’s instructions so as to anchor the new faucet up. You can then turn the supply back on to check for any leaks. 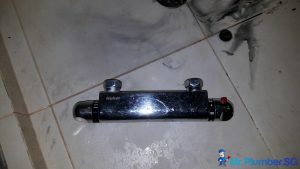 If the methods mentioned above does not solve the leaks for you, you may want to call in a profession and reliable plumber that can help you fix your shower leak issue. 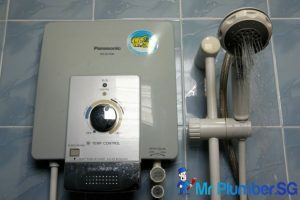 Mr. Plumber specialises in shower replacement and shower installation services all over Singapore. With over a decade of experience in providing our diverse client base with efficient and dependable service, why not let us save you the hassles of doing your own shower leak repairs and shower replacement, and save on affordable shower repairs and shower replacement cost? 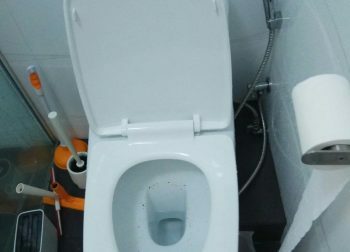 Mr Plumber Singapore provides full range of plumbing services in Singapore, including plumbing repair, water pipe leak repair, water heater installation, clearing clogged sink/drain/toilet bowls, installation & repair of toilet bowl, kitchen sink, toilet sink, drainage pipe, concealed copper pipes repair, floor trap, etc. We have a team of licensed plumbers who are available for emergency plumbing. 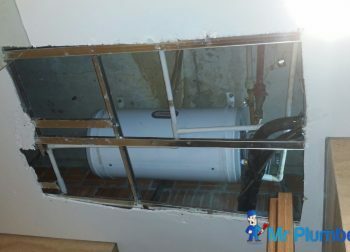 We have over 10 years of plumbing experience and have done thousands of plumbing jobs for both residential (Landed, condo and HDB plumbing) and commercial plumbing. We are the highly recommended plumber Singapore,with many happy customers and reviews over the years on Googleand Facebook. Call us for transparent quotation and honest pricing for all your plumbing needs at +65 66536258!